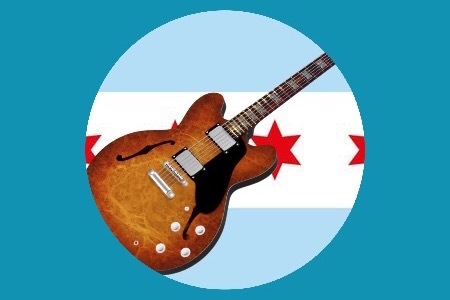 Now, after nearly 20 years of international touring and recording, I feel it is time to return to my roots – the Chicago Blues and its artists – that have so blessed my life. Over the years, I have had the honor of working with Chicago Blues legends including: Chuck Berry, BB King, Bo Diddly, Otis Rush, Junior Wells, Magic Slim, James Cotton, Son Seals, AC Reed, and Koko Taylor. Sadly, these great artists have all passed on. The Chicago Blues legacy lives on in the music of Buddy Guy, John Primer, Jimmy Johnson, Vance Kelly, Billy Branch, Syl Johnson, Lurie Bell, Little Ed, and James Armstrong. I feel an urgency to help keep the vibrant legacy of Chicago Blues alive and inspire the next generation of blues artists – as I was inspired by working with these greats – producing this album as a tribute and salute featuring the music of living legends. Please help us honor past legends and celebrate the living greats of Chicago Blues. We need to raise at least $14,000 to complete this project. Tracks will be recorded and produced in Chicago at Joy Ride Studio. If you can support the project with a $25 donation, we will provide a download link for the project when complete. Donations over $100 will receive the download and an autographed CD.